Bright Pattern bridges gap between enterprises and their increasingly more digitally connected customers. 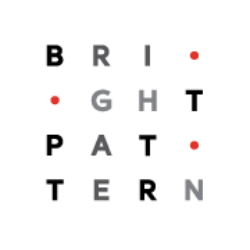 Based on omni-channel platform, Bright Pattern's contact center solution offers the right blend of enterprise-grade functionality, reliability, and scalability. Bright Pattern is a cloud-based contact center solution that enables rich customer experiences across popular channels including phone, email, chat, video, social networks, SMS, messaging, and mobile applications. Conversational IVR is a new kind of interactive voice response (IVR) system that leverages artificial intelligence (AI) for smarter, easier self-service. Unlike traditional IVRs that prompt callers to select from numerous menu options, conversational IVR lets customers choose the path they prefer by simply saying what they want. Customer-focused, Bright Pattern’s conversational IVR allows customers to interact naturally in their own words, eliminating the need to memorize option numbers or touch the dialpad. Know your customers better than ever before, and resolve issues quickly, reduce abandonment, and provide successful self-service.